The Hope for Mental Health Community at Saddleback Church is a monthly upstream effort to address the need for social connection, meaningful interactions, and accurate psychoeducation for people living with mental illness and their families. If you can't make it in person, please watch live the fourth Sunday of the month at 1:00pm PT on Facebook.com/KayWarrensPage. 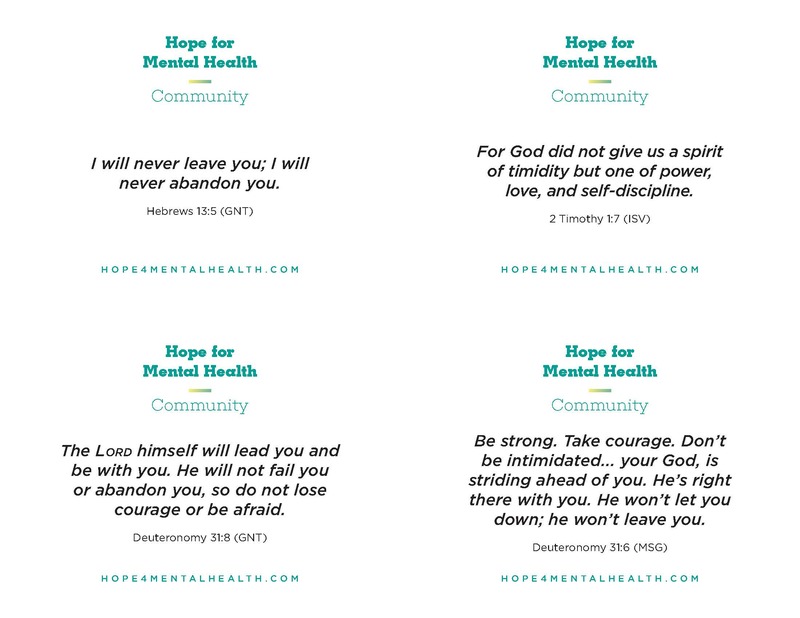 We have included videos below to previous Hope for Mental Health Community videos and downloads to help you host your own gathering.